Enjoy an eBook download every month courtesy of HarperCollins and Harlequin. When the 12 young members of the Wild Boars soccer club walked into a Thai cave with their coach, they expected to be out by nightfall. A birthday cake waited in the fridge for one boy, another boy had a tutoring class. They had rope and torches but no food. Then a sudden monsoonal downpour flooded their route out. They were trapped - imprisoned in a cave said to be haunted by a mythical broken-hearted princess. So began the greatest search-and-rescue mission in living memory. People from across Thailand, and soon from across the world, joined hands to find the boys and get them out. But could forgetting one little thing lead to murder? B A Paris, the bestselling author of Behind Closed Doors, returns with another page turner. Spanning across two different timelines, the story is incredibly intricate and detailed, taking the reader on a fascinating journey into Australia’s past. Fresh and down-to-earth in style, Australian author Lily Malone returns with a sparkling new 'Chalk Hill' romance that will appeal to all romance readers, from contemporary to rural romance. Continue to visit the +Rewards Book Club each month to access the latest titles available. Limit one redemption per eligible member per month. Limited to first 10,000 each month. 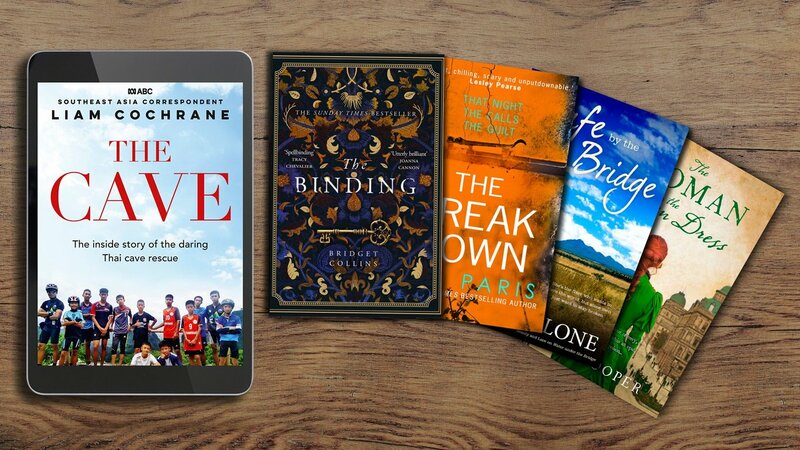 Offer of books featured ends 30 April 2019 or while stocks last. Provided you remain a member. Member must register with Kobo to take up this offer.